Continue scrolling to view additional product information including usage suggestions and customer reviews. Fleur de Sel is hand collected from the French Guérande Salt Marshes using techniques that are centuries old. Guérande “paludiers” harvest Fleur De Sel by skimming the very surface of the salt ponds, obtaining only the salt crystals formed on the top of the water. Fleur de Sel is favored by chefs worldwide because of its natural moisture content, its complex flavor profile, and its natural richness in minerals. 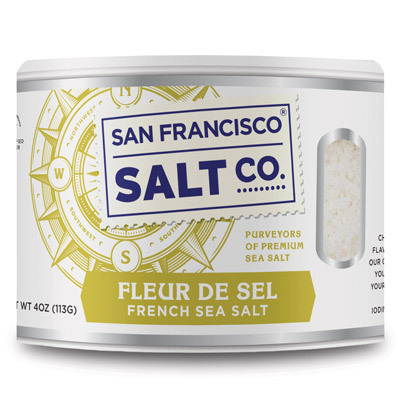 San Francisco Salt Company's Fleur de Sel is certified from the Nature & Progrés institute in France, a strict certification process ensuring purity and excellence. 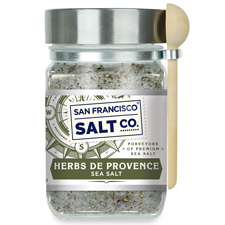 *Please note: Due to its natural harvesting process, this salt may arrive slightly damp because of natural moisture in the salts. 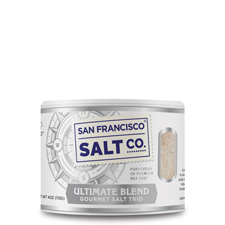 THE ULTIMATE CULINARY SALT - The unique, natural texture and moisture of Fleur de Sel Sea Salt make it the most favored salt by professional chefs worldwide. 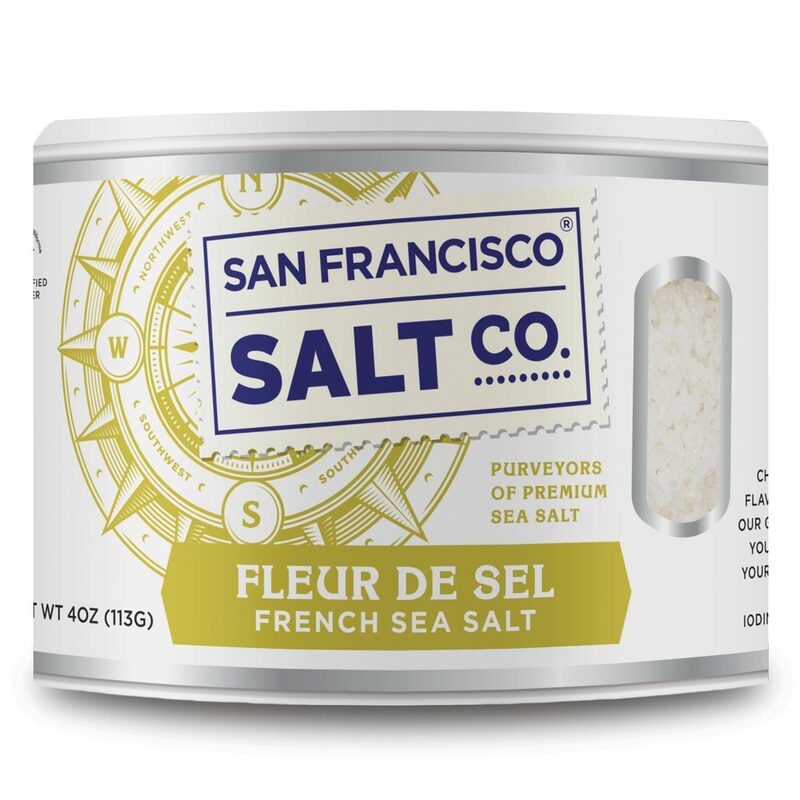 The high moisture content and crystalline shape of Fleur de Sel make it the ultimate finishing salt, because they cause the salt to linger for longer without dissolving, which gives food both the delicious flavor and satisfying crunch that Fleur de Sel is known for. 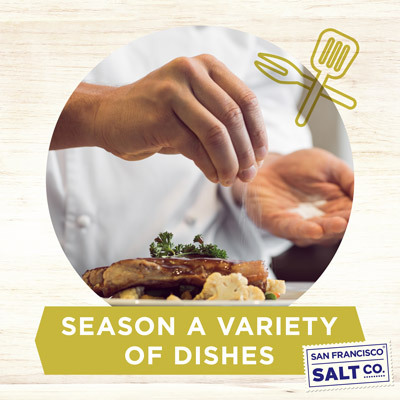 AN ESSENTIAL INGREDIENT FOR PROFESSIONAL & HOME CHEFS ALIKE -�The perfect finishing salt, our Fleur de Sel Sea Salt perfectly complements a variety of foods such as Steak, Buttered Toast, Caramels, Toffee, Salads, Eggs, and more! *This salt does not supply iodide, a necessary nutrient. PACKAGING - 4 oz. 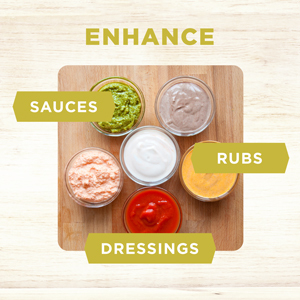 Stackable Shaker. STACKABLE DIMENSIONS -��2 1/2" diameter, 2 3/16" tall. GRAIN SIZE - Natural Fine Grain, neither crushed nor ground. 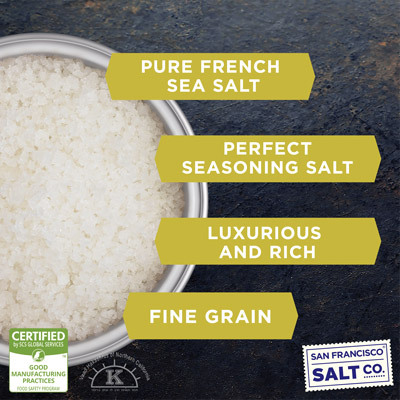 PROPERTIES - Our Fleur de Sel de Sea Salt is Kosher Certified, Non-GMO, and does not contain any MSG, Soy, Gluten, Dairy, or anti-caking agents. We package in our U.S.A., SQF Quality code compliant facility. 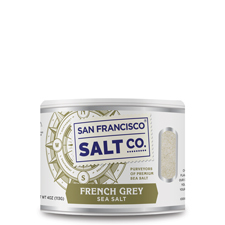 INGREDIENTS - Fleur de Sel de Gu�rande Sea Salt. SHELF LIFE - 10 years. 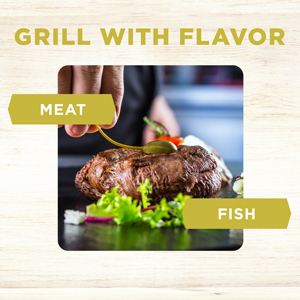 Use Fleur de Sel to add a touch of "Je Ne Sais�Quois"�to grilled Steaks and Meats. 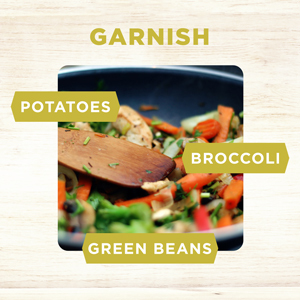 Add a delightful crunch of flavor and texture to veggies with Fleur de Sel.